The Daytona Classic Oldtimer motorcycle boots have a classic design with retro style. Constructed from cowhide, these boots have a leather interior lining in the foot and a leather reinforced gear change cushion. 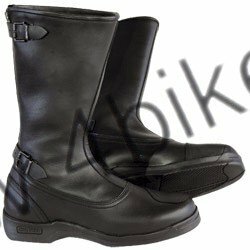 These classic motorcycle boots have a rear zip fastener with two buckles, an anatomically designed insole and a steel inlay within the inner sole.